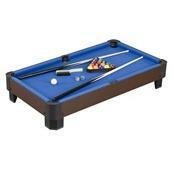 A quality air powered hockey table has never been so affordable. 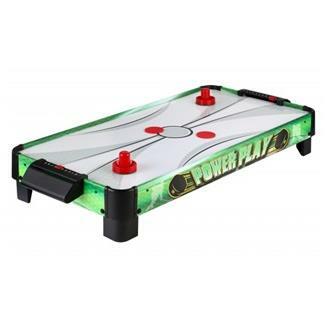 This tabletop air hockey table has a Single 110V UL Approved "PERMASEALED" high output electric air blower system like its full size counterparts, providing great game action and fun! FREE SHIPPING! 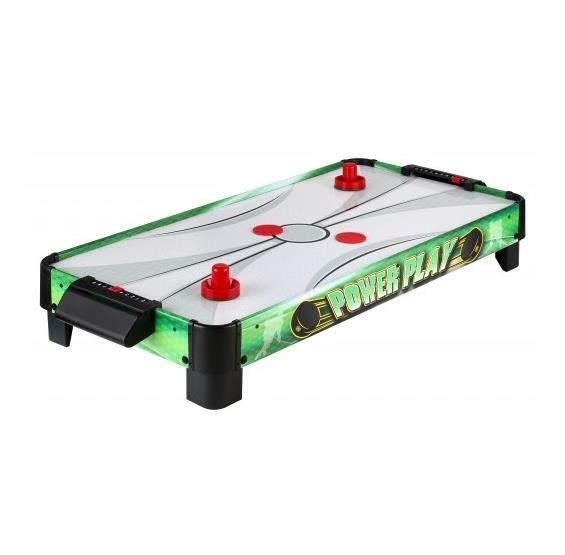 The economical Power Playair hockey table by Carmelli™ is the perfect way to introduce the thrill of air powered table hockey to the entire family. The 40" table is lightweight, sturdy, and comes with its own high output electric blower that provides a cushion of air to help the puck float around. Rugged L-shaped legs come with skid resistant non-marking pads that will not mar or scratch table or floor finishes. Goal boxes have a built in slide scoring system so the score isn't forgotten as the air powered battles continue on. Made of environmentally friendly "CARB" Cetified MDF material that is strong, durable, and built to outlast inferior plastic or particle board tables. Slapshot comes complete with two large red weighted strikers and matching pucks. Ship UPS.